The Muskoka Dance Academy offers Student Ballet Exams with the British Association of Teachers of Dancing (BATD). 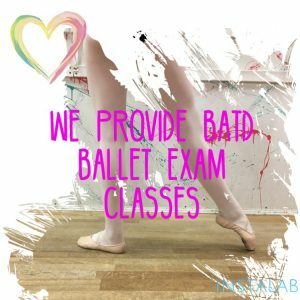 These Exams are available to all levels of Ballet students Primary through Advanced upon the Recommendation of a teacher. Two Classes are required to be considered for an Exam. One class is attended as a regular recital class and the second class is attended as a mandatory Ballet Exam Class. Please take note; It may take up to two years to achieve an “Exam Recommendation” from a teacher. Additional Fees vary depending on Level and or Grade of student: Extra class time, Mock Exam Classes, Examiner Fees, etc. The Muskoka Dance Academy offers Student Acrobatic Dance Exams with Acrobatic Arts (AA). These Exams are available to all levels of Acrobatic students Primary through Advanced upon the Recommendation of a teacher. Two Classes are required to be considered for an Exam. 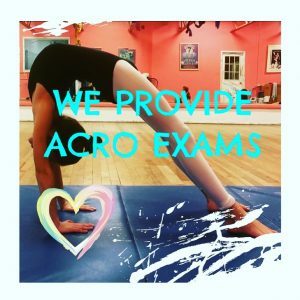 One class is attended as a regular recital class and the second class is attended as a mandatory Acro Exam Class. Please take note; It may take up to two years to achieve an “Exam Recommendation” from a teacher.